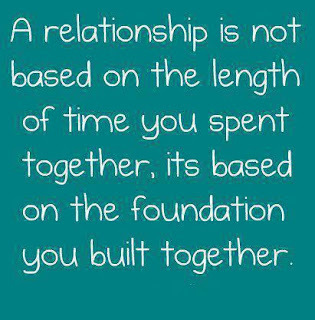 Covenant Relationships: Your Marriage Is Sent To An Early Grave By A Series Of Little Digs! Someone has observed that a successful marriage is one where the wife gives the best years of her life to the man who makes them the best years. Someone else has said that a good marriage partner is comparable with a good athlete … he gives most when the going is tough. Couples who have these attitudes in their marriage will certainly succeed. Of course, the best advice cannot help without the cooperation of the people involved. The following suggestions will help to assure success in marriage, if they are practiced. But, like the doctor's medicine, they will, only if they are used. If you want to succeed in marriage, avoid being negative, picky, or critical with your partner. Here is the way some husbands sound: "The pancakes are cold"; or, "the eggs aren't done"; or, "the coffee's too strong"; or, "Why isn't dinner ready"; or, "why don't you clean the house"; or, "why aren't you dressed?". Or the wife begins: "What kept you so late? "; "What is your excuse this time? "; "You never do anything with the family"; "Why can't you be thoughtful like Millie's husband?'. You see, the thing wrong with this approach is that it is totally negative and nobody wins. What is needed, is to convert this into positive action. This is what Christianity is all about. Romans 12:2, says, "And be not conformed to this world, but be you transformed by the renewing of your mind". Sometimes we use the excuse: "I've been this way all my life, it's just my nature." But, the fact is, we can change if it means enough to us. Another factor that always gets results is courtesy. Learn to extend common courtesies to each other. 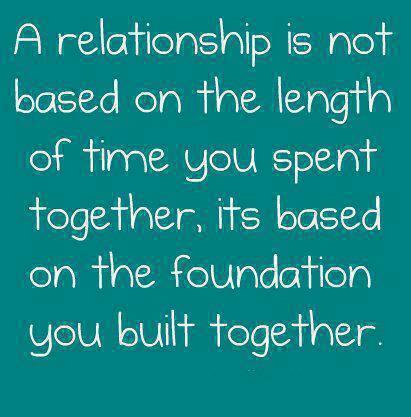 Just as love is the foundation of a happy marriage, so good manners are the walls and the roof. Before you married that sweet young lady, you complimented her looks; you took her out to dinner, you occasionally brought her candy and flowers; you just may have even opened the car door for her. Who gave you the idea these things are only for lovers before marriage? They work afterwards, too. You gals, work on making this easy for the husband. Take pride in your physical appearance. You did have a figure with honorable dimensions when you married him. Do, within reason, whatever is necessary to maintain your figure. Keep a tidy home - don't be a sloppy housekeeper. One wife speaking in defense of her bad housekeeping habits said" "Well, I get so far ahead in my washing." The husband replied: "No, you don't get ahead in your washing, you just get behind in your ironing." It does make a difference how you look at it. The New Testament admonishes wives to be "workers at home". (Titus 2:5). Thus, it is necessary to be a good homemaker. Do something extra special at times. Put those hot meals on the table. The person who said: "The way to a man's heart is through his stomach", made a very wise observation, but he didn't have pot pies and T.V. dinners in mind. By all means, don't criticize or ridicule each other in front of friends. Laugh with each other, but never at each other. To downgrade in the presence of friends is most humiliating and destructive. Another thing to avoid is suspicion and distrust. Always plan to conduct yourself so that mutual trust is a normal pattern. Never deliberately do or say anything that would give your mate reason to question your loyalty. This will keep the destructive qualities of fear or jealousy from rearing their ugly heads. Marriages have often been dissolved because of unjustified fears or distrust. The Bible reads: "Marriage is honorable in all, and the bed undefiled: but fornicators and adulterers God will judge". (Hebrews 13:4) This final thought: Capitalize on the Law of Human Returns. Jesus said: "Give and it shall be given unto you." He ended by saying: "for the measure you give will be the measure you get." This is Luke 6:38, quoted from the Revised Standard Version. My attitude should be: "What can I give to this marriage to make it fully satisfying for my partner? Not ... what will I receive?" Dr. Harold Hazlelip made this statement in a lecture on the home. He said, "I have chosen whom I please and I shall spend the rest of my life pleasing whom I have chosen." Isn't that a marvelous attitude! I made my choice at the time of marriage. Now my task is to spend my life pleasing the one I have chosen. Isn't this what the apostle is saying in Ephesians 5:33, when he writes: "Nevertheless let everyone of you in particular so love his wife even as himself; and the wife see that she reverence her husband." If you apply these ideas to your marriage, I can assure you they will do a lot of good.